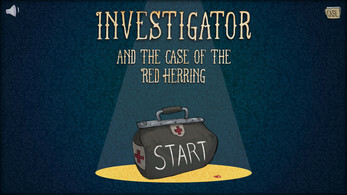 The Investigator is an Alligator who Investigates crime, alongside various faithful sidekicks. With Bobbycat, they investigate various gruesome murders, interrogate suspects, and collect clues, until the time comes to accuse the murderer. 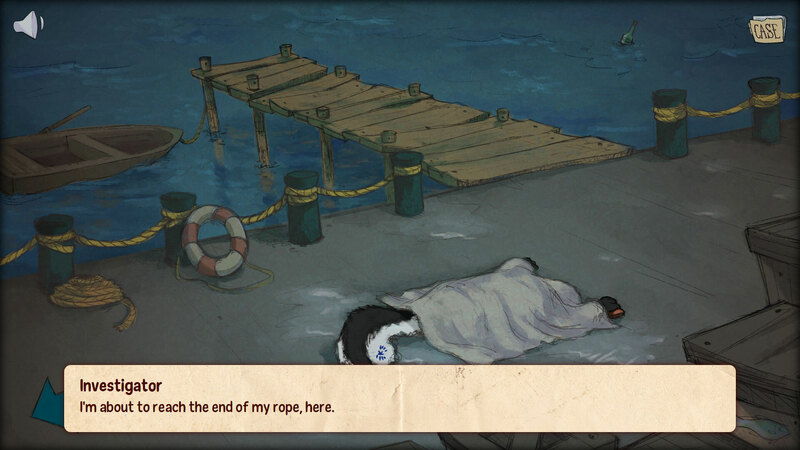 The games are basically a very long excuse for me to come up with a bunch of rhyming animal names as well as the most heartfelt groan-inducing puns I can think of. 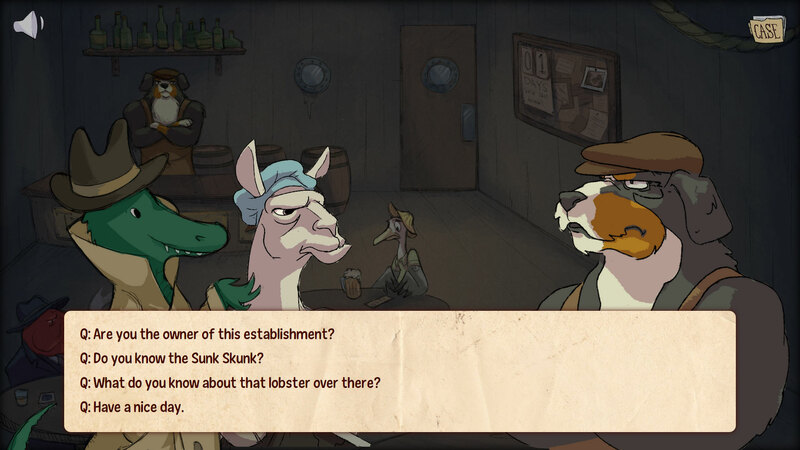 In Investigator and the The Red Herring, Investigator and the Trauma Llama look into the death of the Sunk Skunk, found floating down the river by the docks. New character art in this game is credited to Mark Barrett. The Investigator Cases are an ongoing series of point-and-click who-dunnits, inspired by games such as Professor Layton and authors such as Agatha Christie. I produce a new super short game every Ludum Dare (i.e., every 3 months). 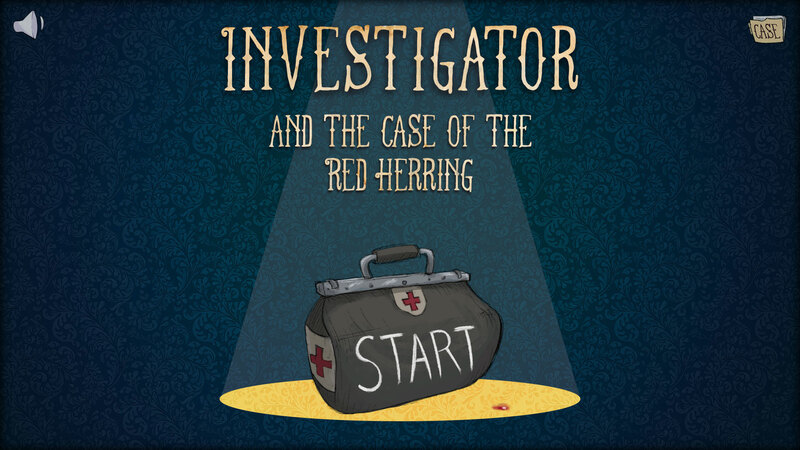 You can view and play all Investigator games from here.